How much does it cost to get a locksmith? Day rates would normally range €70 – €85 depending on the company you choose, evening, weekend services can go up slightly. Locksmiths might charge €2.50 to €4 to copy a key, €20 – €30 for special type security keys if they are no a registered key. 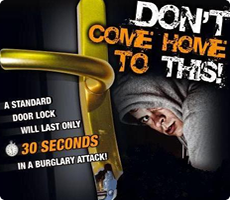 To rekey your door, there will be a minimum fee of €70 to €100 plus €12 to €25 per lock cylinder. Rekeying doesn’t mean replacing your locks. How much does an emergency locksmith cost? An emergency service should cost no more that that of a normal service. Some companies may charge a call out fee – it is best to ask prior to requesting the service. Do you have to have a licence to be a locksmith? In Ireland locksmiths are required to have a licence of which will have being security vetted and would have had a criminal history background check. It would normally be a case that they would have also had completed training with on an approved training course and pass an examination. Can a locksmith get into my house? At Locksmiths247.ie you’ll find the right locksmith who can help you to gain access to your personal property when and if you get locked out accidentally. Forgetting the keys in the car or leaving the key inside the house, or your front door accidentally closing can often cause a feeling of panic. We are here to help. What is a locksmith service? Locksmiths tend to be skilled tradesman who replace, install, adjust and repair commercial, residential and car locks and security devices. Locksmiths fabricate and duplicate locking keys, change locks combinations, and bypass locks when there are no keys available. Their skill and knowledge in installing and repairing conventional security hardware or state of the art locks allow them to work in residential, commercial and industrial establishments that require varying levels of physical security to protection them from unauthorized entry. Do you need training to be a locksmith? Yes, a locksmith should have had formal training in order to qualify them to provide the various services. Training can be sought form the MLA (Master Locksmith Association based in the UK. The best course of action would be to make contact with a locksmith organisation who can best advise on the requirements, MLA (Master Locksmith Association based in the UK would be one of them that would be recognised within the industry. Can a locksmith open a deadlock? Yes they can. A trained locksmith should be able to pick open a deadlock on any door. What to do if you get locked outside your home or business? How do I become a certified locksmith? 6. Step 6: Join a Professional Organization.